The city of Jaipur creates a midst sensation in the mind of the visitors through its colour combination and paints in the form of creams, brown, and soft pink. The imposing façade strikes grandeur in the mind of the viewer's when they see the places to visit and to shop throughout the majestic environment in Jaipur. The streets having the bazaars are crowded throughout the day with persistent shoppers throughout the world. Jaipur mesmerizes the visitors with its beauty and charm, especially the bazaars and the variety available to shop for all the visitors and the locals throughout the area. Jaipur is a city that has the charisma of fairy tales and thrives on tourists mainly. The territory of the bazaars can bring an even and pleasant mood to the visitors along with the persuasive welcomes given by the salesmen at each shop in the bazaars. The tourist gets huge attention and a warm welcome at each shop they visit in the bazaars which can provide enlightenment to the mood. One can pass their leisure time in the markets by simply roaming around and do boho shopping as per their desires. Jaipur special items in the form of jhola bags, mojdi shoes, kurtas, bandi jackets and many more for all men, and lac bangles, jewellery, etc. for women gives a vibrant option for all to spend their money and get things for themselves. People can visit the nearby showrooms in Amer that has a variety and collection of sarees which are coloured using natural dyes and colours obtained from the natural sources like fullers, vegetables. Other items include razai, textiles and orthopaedic sandals made out of camel hide which is suitable for both winters and summer seasons. 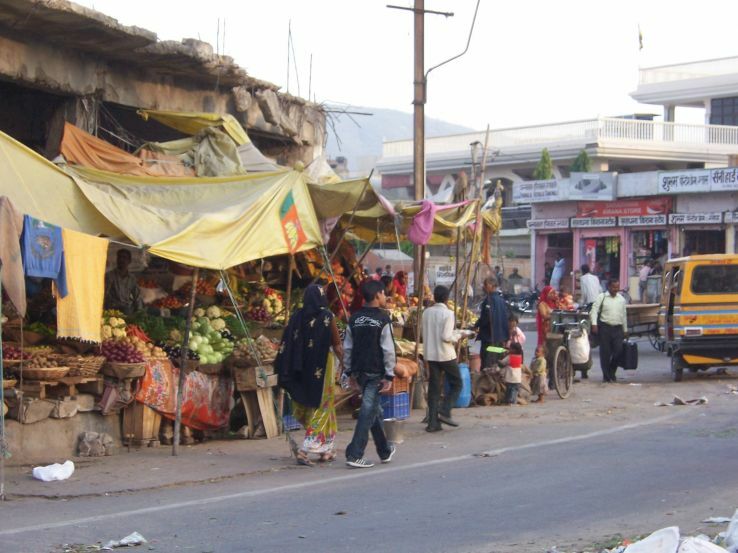 Bapu Bazaar is considered as the primary and main market in this region. It is located in the top location near the Sindhi Camp bus stoppage. The market is open throughout the week since early morning and remains open till late at night. 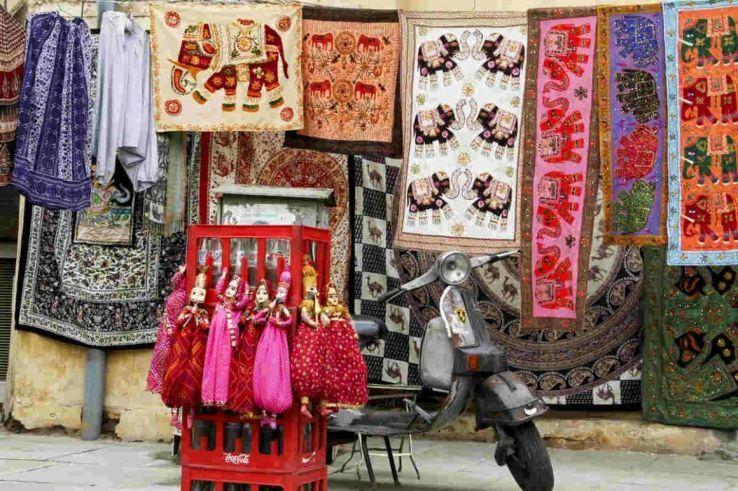 The visitors can see the pinkish surroundings of Jaipur throughout the marketplace. This is one of the most famous places where visitors can buy jutis made of camel skin at the most reasonable costs. 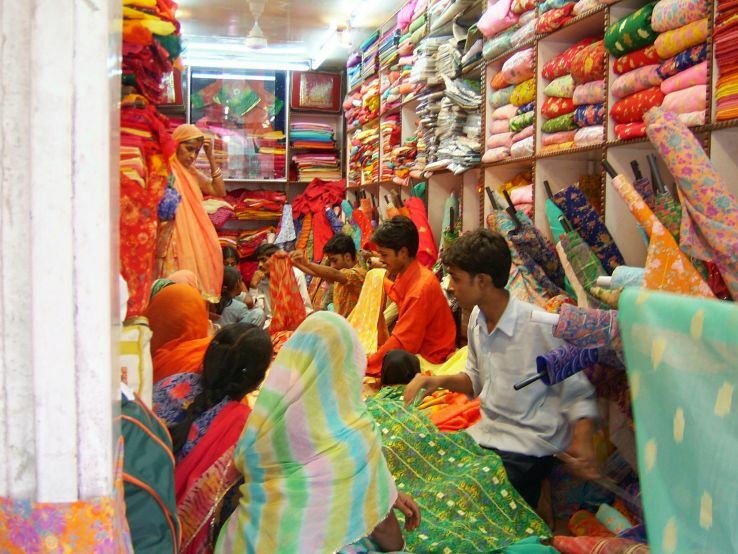 Bapu Bazaar is also famous for all forms of Rajasthani textiles that one desires to purchase from Jaipur. 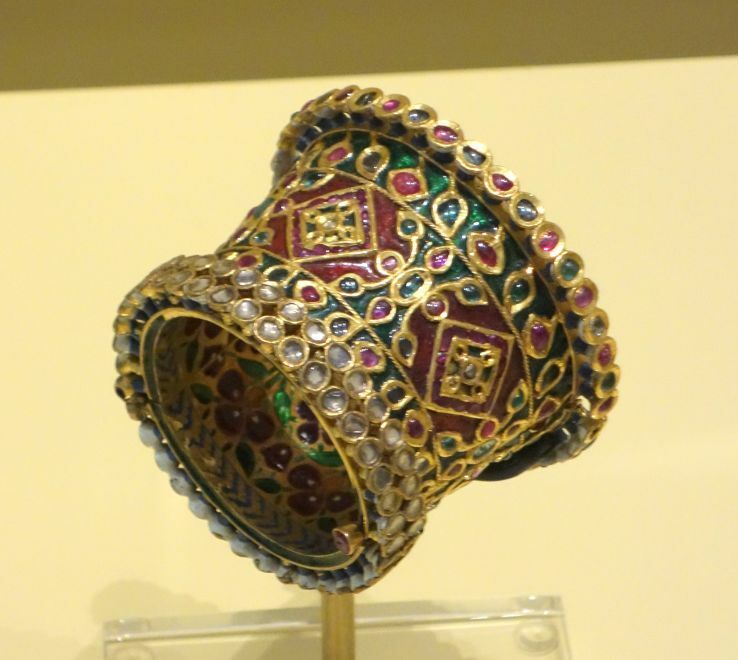 Johari Bazaar in Jaipur is famous for jewellery items and is located near the Gangori bazaar. One can find some precious gems and stones in the market too. Other semi-precious stones and handmade jewellery are also available in the marketplace which does not punch holes in the buyer's pockets. The Johari market remains open throughout the week. 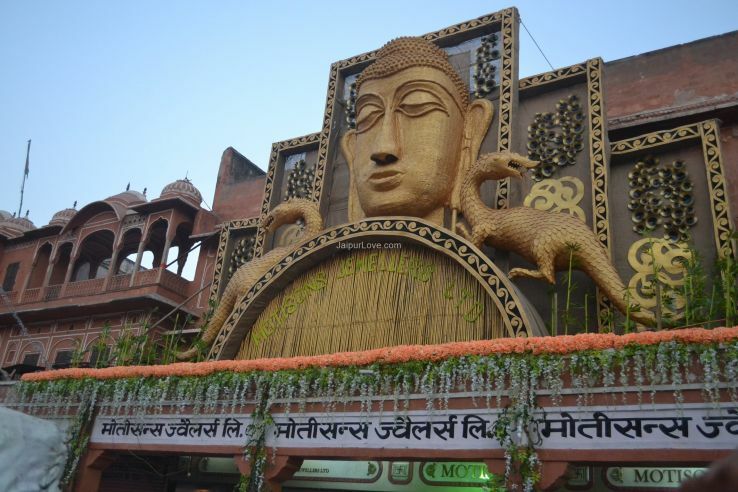 The Tripolia bazaar is located in Kanwar Nagar in Jaipur. This bazaar is bundled with items like tie-dyes, metal crafts, colourful lacquer bangles, and several other vintage items that draw the attention of the buyers to the maximum extent. The best place in this bazaar is the Maniharon ka Rasta where crowds of tourists and visitors can be seen regularly. This bazaar is also open throughout the week. This is one of the most renowned and bundled shops in Jaipur for boho shopping. The bags and the key chains are the famous items at the shop mainly due to the variety and low prices. The shop is known for its block printing that has been put up in the Amber Fort and museums which people can visit and learn the techniques. The price is considerably on the higher side compared to the nearby export shops, and the variety is huge compared to any other local shop throughout the area. 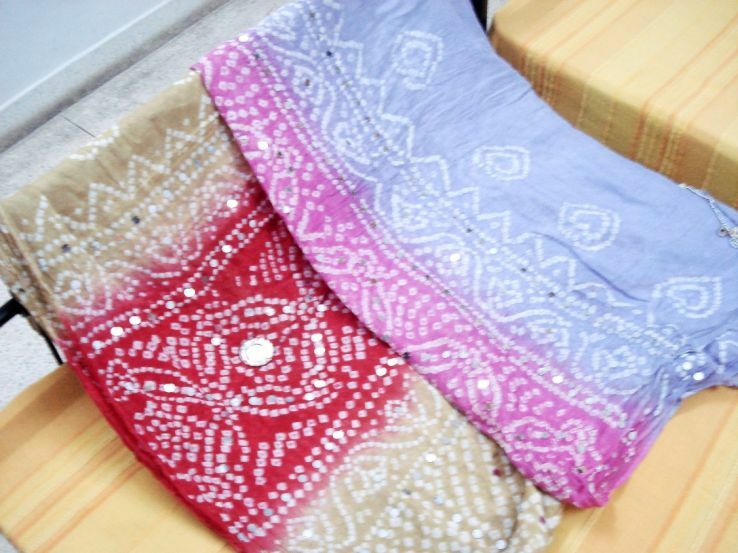 Along with these items, there are kids’ clothes, adult clothing of Indian style, and several home decors. A café can also be located inside the shop for those who like to relax for some time while shopping. This is also one of the renowned fashion shops in Jaipur. Clothing and styling items both for women and men are available in the shop which is highly adored by the buyers. The stock consists of trendy Indian wear which even the foreigners try and wear on their visit to Jaipur. Jaipur is not only famous for its places to visit, but also for the variety of items available at the bazaars and shops which the visitors plunge into while making their visit. Fascinating options for shopping draws the attention of the visitors at just a simple glance which calls for entertainment and livelihood at the same time throughout the province.